December 21, 2013 is our Mayan Winter Solstice and our Lord Pakal Ahau would like to wish you the best for this new cycle of your life. To prepare yourself better, Lord Pakal recommends you create your own simple ritual or ceremony that day at any time. Ready? Get a paper bag and think of all the baggage you want to put inside this bag. As an example, pick up a small stone and say loud what you want to get rid in your life. For example, “I will put all my unhappiness with this stone inside the bag” or “I will put all my health problems with this stone inside the bag”. Once you have collected the bad things inside the bag, dispose your bag. Put it in the trash, throw the bag from a cliff, send it to the ocean, bury the bag in your garden. Use your creativity. Share your ritual with some close friends. That’s all. 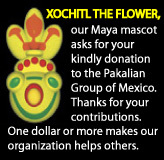 Lord Pakal Ahau hopes this small miracle change your life forever and you live a very beautiful and productive life. Happy Winter Solstice 2013! Yesterday, Lord Pakal Ahau made a disturbing comment as if to remind us that the Mayan Prophecy of the Last Katun has not been completed. He said “not to ignore the prophecies of Chilam Balam in progress”. Knowing that everyone is preparing to celebrate the beginning of the year 2013, he asked us to elaborate a visual graphic with his comments. What does he know that we don’t know yet? Anyway, let’s celebrate the beginning of 2013 with a song that we hope you will remember. Happy New Year! So long, so long and, !Thanks! With this post, we close the end of our 5,125-yr Mayan cycle on December 21, 2012; 11:00 UTC and give thanks to our Mayan fans for their support. 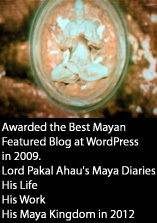 We learned from Lord Pakal Ahau, a really amazing man, true prophecies for 2012. He predicted President Obama’s re-election four years ago and he warned us that the most darkness event was to take place on Newtown on December 12, and yet he has kept a deep silence about the end. Maybe the prophecy ends with no events or he expects a Big Bang in the Universe. We don’t know. However, we know the time is a memorable event as we have seen thousands of people searching for the meaning of the 11:11 Universal Time with an intensity to grasp the last seconds. It’s the 2012 phenomenon. With this in mind, we leave our final visual representation of the 11:11 UTC for your meditation. May our Mayan ancestors bless you always! If there’s a universal love in the Universe, Lord Pakal Ahau says, tonight the greatest love event will happen under the sky. The reason is we will experience the Mayan force of a blue moon, that has not happened since 2010. 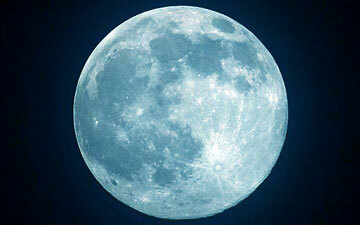 The next blue moon will occur in 2015. And Lord Pakal says, everyone has a reason to believe a dream will happen tonight. He told us to include the lyrics so you can understand what to expect on this magic night of August 31, 2012. I was totally in awe watching the incredible athletic performance of Oscar Pistorius in the London Olympics 2012. He competed in the semifinals of the men’s 400-meter and although he was eliminated it was the greatest inspiration to watch an athlete with a double below-knee amputation. What does it mean for future Olympics? In my opinion, London and the IOC have opened the door for a different kind of Olympics that probably will not see for another half century. It seems implausible but I am predicting the time when some sports events will have robo-athletes, a unique kind of athletes who will break Olympics records with fast and better performance. The possibilities are infinite. 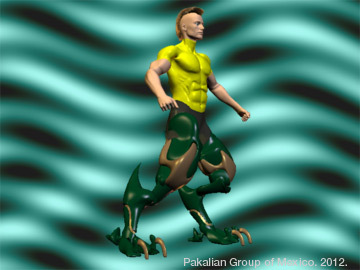 To summarize this post, I made a tribute to Oscar Pistorius and the future robo-athletes in a 3D render. It is the amazing human evolution in their quest for unknown limits.